10 Children Living Amid Feces Were Tortured For 'Sadistic Purpose,' Police Say : The Two-Way Police found them living in squalor. 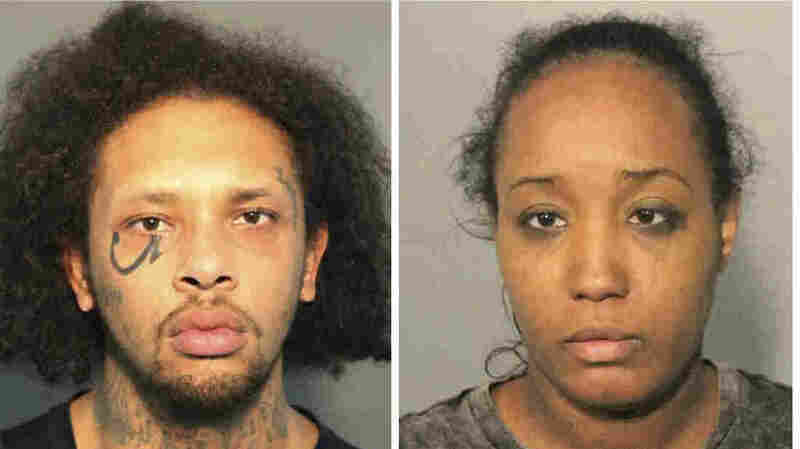 Their parents were charged after an investigation revealed "a long and continuous history of severe physical and emotional abuse." According to Fairfield Police Lt. Greg Hurlbut, there was "garbage and spoiled food on the floor, animal and human feces and a large amount of debris making areas of the house unpassable." The missing 12-year-old was found sleeping under a bush nearby, but officers decided to contact the Solano County Child Welfare Office which removed the children from the house. They were placed in the custody of relatives. Then Child Welfare Services, the Fairfield Police Department's Family Violence Unit and the Solano County District Attorney's Office launched an investigation. They uncovered "a long and continuous history of severe physical and emotional abuse," the police said in a written statement. Conversations with eight of the children revealed cruelty and brutality. The kids described "incidents of intentional abuse resulting in puncture wounds, burns, bruising and injuries consistent with being shot with a pellet gun or a BB gun," Hurlbut said. Police arrested their father, 29-year-old Jonathan Allen, on Friday. Neighbors of the quiet cul-de-sac told NBC Bay Area that police had their guns drawn during his arrest. 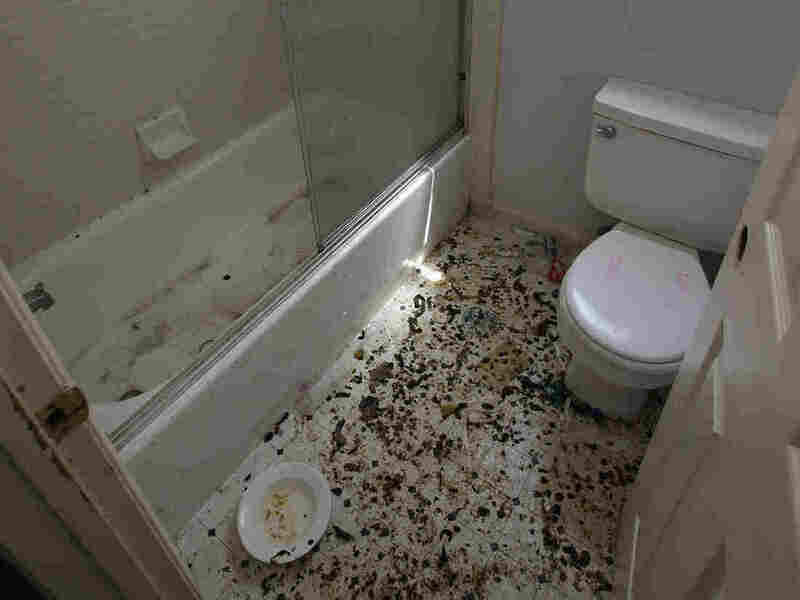 The bathroom of the home in Fairfield, Calif., is strewn with feces. He was booked into the county jail and is being held on $5.2 million bail, said police. He has pleaded not guilty to seven counts of torture and nine counts of felony child abuse. But the children's maternal grandmother described Allen as "a monster" to NBC Bay Area. She provided photos of a room where she said he worshiped the devil. "He would put duct tape on our eyes, lay us on the floor, tell us we couldn't move, and if we did he would just pounce us and beat us all in the stomach. He said the demons were making him do it." Ina Rogers, the children's mother, was booked on child endangerment charges the night the police arrived in March. She was released on April 9 after posting a $10,000 bail. She has been charged with neglect and could face additional charges. Rogers said her home was in disarray because of the search for her missing son. "I was afraid that I could not find him," she told reporters. The 10 children shared a single bedroom, Rogers told reporters, while three other rooms served as the master bedroom, playroom and a meditation room. She also told ABC 7 News that she was being judged for homeschooling her children. Neighbors said they never saw or heard the children — eight of whom are reported to be Allen's biologically. "All these allegations are ludicrous," Rogers said. "And all I need is good defense to look into this."